Midas sarasota is your one-stop shop for brakes, oil changes, tires and all your auto repair needs. You changed the oil on my 2004 Solara and checked it over before a 1000 mile trip. My vehicle performed great with no issues. Being we were on vacation and not familiar with the car shops in the area, Midas was recommended to us. This was the best referral, the professionalism and quality was top notch, thank you. I have been using the Midas location on Clark Road for several years. The customer service at this location is one of the best i have ever had the pleasure of working with. They are always looking out for me and helping me get the best deals when i need anything done to my vehicle. I highly recommend Midas! You were timely and efficient. The inspection is good for you and me. Your price was significantly higher than competition. Even with a coupon. The gentlemen who took care of me was excellent. Knowledgeable, personable and I trusted him. It would be 6 stars if prices were similar. I had great service experience. Great group of Mechanics - and Shop! I really have been pleased with this Midas shop. Very honest, good mechanics and the shop managers are all about customer service and ensuring quality in the work delivered. Tom always takes care of all my service needs. Wherever Tom is, is where I will go. When my car needs work I know that I can come there and not be taken for a ride. They are polite, friendly, very professional and above all honest. My wife and I were driving 2 vehicles from Fort Lauderdale to Wisconsin when the Honda CRV became inoperable in the middle of the night and needed repairs. Not knowing the area, first thing in the morning, we picked the closest repair facility and we definitely made the right choice. Steven, Tommy, Neil and the rest of the team went above and beyond to get us on our way home. The service and treatment we received were exemplary. Due to the purpose of the trip, we were already under emotional stress and a broke down vehicle only made the situation more stressful. We were assured that the repairs would be completed as soon as possible and the vehicle was finished ahead of schedule. 24 hours later, we were back in Wisconsin without any issues. The entire team at this store is an example of excellence with unbelievable customer service and should be recognized for treating customers like family. Thanks again for the help. - Gary and Justine M.
Midas is my go-to place. I always get great service. Nothing is done without a review and my agreement to get started. If I don't want it done, I'm not pressured to have it done. The guys are fantastic, personable, and respectful, and as a woman, I never feel like I am taken advantage of. And the prices are great as well ?? I have been using this Midas for over four years! Great service and they go the extra mile to ensure all the car needs are addressed! I love depending on them!! Thanks guys! Each time I visit Midas I am greeted by a very friendly and courteous gentleman and I always receive excellent service. They are honest and very thorough. The folks at Midas are always accommodating for me. They are professional and honest. Timely and friendly as always! I ENJOY COMING HERE. THEY REALLY KNOW THEIR STUFF. THE BEST PART IS EVERYONE OF THE GUYS HAS A GOOD SENSE OF HUMOR. Ted & Tom we’re both friendly and professional! They are honest and upfront and will never sell you something that you don’t need! I will not take my Infinity anywhere else. People there are honest and don't try and bump up your bill by telling you you need extra things done. Steve & his staff are always service minded. They are knowledgeable and never try to sell you something that you do not need. They have earned my repeated business by their excellent care and fair prices. I believe they have done the very best they could do on my 2002 Chrysler Sebring. Ted always carefully explains everything to me. I have confidence in Midas on Clark Rd. and would recommend anybody to them. KEEP UP THE GOOD WORK!!!! Everyone is very friendly. After vehicle inspection they communicate with you everything from top to bottom. They provide excellent service. I wouldn't take my car anywhere else. Fast and courteous service. I arrived early but they took me right away. The price was fair and the service great. Midas on Clarke Rd changed my oil, filter, checked the tires and other new vehicle inspection items. The price was fair and the service great. Thank you to Ted the Manager and Steven the owner. Very good service. Excellent customer service. What an amazing, knowledgeable crew. Working with Tom, Ted, Anthony, and Steven has been an amazing experience. What an amazing, knowledgeable crew. Thanks a million!!! Keep it up!!! They explain everything clearly which is comforting. Good guys. They do good work. They explain everything clearly which is comforting. Top Notch service. Great crew. Top Notch service. Great crew. My old 02 car is running like brand new. I was in an out as stated. I made an appointment and everything was done on schedule. No hiccups. Very nice atmosphere in the waiting room. Everything clean and tidy. Very please people. I will be back. And, I tell all my friends to go there too. - Gary & Lucinda Z. We will be back, this is our new spot! Great team at MIDAS Sarasota that went above and beyond. Tom was great to work with and we were extremely happy with our synthetic oil change and included tire rotation. We will be back, this is our new spot! I will definitely will be a steady customer for years to come. The staff was very professional and courteous. I had a booked appointment and the staff made every effort to get my car serviced at the appointed time despite the fact that they were a little behind schedule, I will definitely will be a steady customer for years to come. customer service and satisfaction extremely oriented! - Jorge & Patricia S.
It was his experience and attention to details that makes your shop so good. Ted, your service Manager, saved me from a big problem when in starting the car, he sensed the engine labored to turn over. He asked to have the battery checked and one of the technicians found the battery had almost no juice left and it would have died withing the week. It was his experience and attention to details that makes your shop so good. He has earned my trust for him and Midas. As usual excellent professional service. As usual excellent professional service. I have had all three of my vehicles serviced over the past several years at Midas on Clark and will continue to do so. Thank you Steve, Ted and crew. They are always nice & helpful. Ive been going here for yrs. They are always nice & helpful. Excellent service, as always. Ted takes care of you! Very informant regarding what was necessary to address with the servicing of my vehicle. A truly professional Auto Mechanics Shop. Evaluate your problem - review the problem with you - fix it - pay your bill and you are out of there. I have never had them advise something that was not needed. I just moved into the area and my son suggested Midas and I was glad he did. It was nice to go to a place where you don't feel like your being taken for a ride. They have my business. I have to drive about 15 miles but that's ok. Excellent service. Excellent explanation from Steve about the additional work which my car needed, showing me WHY helped me to understand the situation. Good choice of reading materials, coffee or tea, and clean restroom. Mechanic forgot my new wiper blades, but Ted checked on it before I left with the car, and that was quickly remedied. Thanks! My son brought his car in due to some undetermined issues. They got him in the day of the request, determined the problem (bad u joints) and had the entire job finished in just a few hours. The price was reasonable, the staff was courteous and very accommodating. I would recommend this location to my friends and family for all your car servicing needs! My experience with this Midas location has been most satisfactory. Management is focused on maintaining operational reliability on my vehicles, properly diagnosing mechanical problems as they may arise, and providing competent repairs as needed. They provide these services in a friendly atmosphere and with honesty. They don't try to sell you something your vehicle doesn't need. That's why I have my vehicles serviced there. I use Midas for my business fleet service. They provide some of the best service I have encountered. Their communication is top notch. The follow through and knowledge is something I depend on due to business. They continue to impress me. I recently had them rebuild an engine on one of my vehicles. They did a great job and tried to save me cost wherever they could. Specifically, Forest, Ted and Steve have really taken care of me and my business for quite some time now. I would recommend them to anyone. Very attentive and looks out for his customers! Love the manager there. Very attentive and looks out for his customers! don't force unnecessary fixes or timetables. Ted and his crew almost always give good service and fair reccomendations, and if anything is in question, they make good on it. They understand that maintenance is necessary, but don't force unnecessary fixes or timetables. Ted is good about advice on future needs to expect, and recognizes the budget process. Love the service fast and efficient! Never a problem with Midas. Never a problem with Midas. If you do have a problem - it will be taken care of NOW !!!! My experiences with Midas have always gone well. My experiences with Midas have always gone well. As someone who does not know much about cars, it was very helpful when they explained car anatomy and what was wrong. The team is very nice and informative!! Very friendly, professional and knowledgeable staff. The work is completed in a timely manner and at a fair price. I would definitely recommend the Midas on Clark Rd to anyone. Very pleased and will be back. Great customer service. They provide services like cleaning windows and floor mats w their oil change and still charge less than competitors. Didn't pressure with up sells, simply gave advice and information and allowed customer to make decision without the typical snarkiness found at most oil change places. Very pleased and will be back. Bob and Ted are extremely nice and knowledgeable about their products and vehicles. Non pushy approach and explain everything in a way you understand. I have been going to this Midas going on 3 years now and I refuse to go anywhere else because of the excellent customer service, great and fast work and wonderful laid back atmosphere within the whole shop. Water, hot chocolate and coffee are always free and available, and you are constantly updated on what's happening with your vehicle. Great prices and advice. Wonderful reminders and coupons. I along with my husband now are permanent customer for everything with our cars including tires etc. I 'm so happy to have found them. The guys there are "Wonderful",they really are kind & look out for you. They dont rip you off,they do what's best for you & don't try to push extra cost on you. I would recommend going there for any of your vehicles needs. I 'm so happy to have found them. Thanks guys!!! Very nice ! I went to the one on 2022 12th St Sarasota, FL 34237 and they where very rude !! So I then I decided to leave and go to a different one . The second one I went to was very friendly and explained everything to me . Very helpful . The service was above excellent. The service was above excellent. I was a walk in for an oil change, they took me in changed my oil, pointed out future problems and gave me a cost for those repairs. Everyone was very polite and helpful. I feel the service I receive is knowledgeable and honest. Quick & efficient service by friendly staff. They did not miss anything and they did not try to sell me anything unless it was necessary. I felt confident that my car was in good shape when they were through. I have always been pleased with the friendly and professional customer service I have received at this Midas location. I highly recommend bringing your vehicles for repairs and maintenance to this location. Very personable. Didn't suggest any unnecessary action which Midas is famous for. (My husband is a contractor but used to be a mechanic so he always tells me when they're ripping me off. He still does the brakes etc. He says they see a woman coming a mile away.) I really appreciate going on for an oil change and Leaving with just an oil change. I will definitely stick to this Midas location from now on. Ted seemed to know everyone by name down to pets and family. The best experience I've had at a lune place in all my 51 years. Satisfactory! The Work was find, just arrived there to be told, the same thing I was promised for just under $300.00, had changed to around $450.00 - leaving me feeling like I was being worked! Years ago, We called that, "Bait and Switch." Efficient, knowledgable,friendly and were able to solve my problem. Ted is outstanding, never pushy, just manages the agreed to service. But also will give you a heads up on things that should be considered in the future. Again, not pushy, just explains what else we may want to consider. - John & Jennifer M.
Keep Up Great Job Guys !!! All the Staff were Super Polite. & Helpful in getting my Problem resolved, No pushy stuff Found some unknown safety, problems, again no pushy stuff If you like we will take Care of it for ya.Welcome change from Other chain stores tactics,Keep Up Great Job Guys !!! Prompt, professional service! Best auto service in Sarasota. Thank you team, good job. My car was towed by AAA and they checked out right away and call me with the diagnosis. They also fixed it on the same day. That helped me a lot. Thank you team, good job. Again, Ted and his garage crew were outstanding! I had just had a bad experience at Sunset VW -- during a routine recall for a minor problem, the VW service adviser stated I needed new tires because the rear tires had nails; and of course they recommended 4-new inferior brand tires for a lot of money. I stated i would have someone else look at them and then decide. My other dealer said there were NO nails in any of the tires! I never liked the original tires anyhow, so I went ahead and purchased the top-rated Pirelli A/S tires and they were mounted for over $200 less. The tire shop offered to give me a 4-wheel alignment for $89. I declined this offer too. I then visited Midas and spoke to Ted. After a test drive and an inspection, he said my 2012 VW Eos only needed the front wheels aligned for $69. This Midas shop consistently offers me outstanding service and they don't scam you to doing work that is not needed. Obviously, I cannot say that about all shops I visit, but I HIGHLY RECOMMEND the Clark Road Midas Automotive. Center! Really great customer service and very knowledgeable staff to help me with all my needs. I always feel I can depend on Ted and Chris to tell me what my car needs and fix it in at timely way. Excellent service and friendly treatment. I called on Saturday afternoon at about 1pm and Steven answered the call. I was looking for an oil change and didn't have an appointment. Steven advised that all of his appointments for the day were booked. He was very helpful and offered if I would drop off my car that he would find time to fit it in before the end of the day. He also offered me shuttle service to take me home and pick me up so I wouldn't have to sit and wait. He's a real professional and I appreciate his kind sincere efforts. For this reason I always return to this same location for service on my vehicles. They always explain what needs to be done and help in any way they can. Have been going to these guys for four years great service and I trust them!! I liked the staff. Friendly, No pressure to by anything else. Very good experience. Your manager is fantastic. Very honest and friendly. I always come here! Would use Midas again if needed. Needed oil changed. Usually go to Ford dealer, but they take forever. Midas was quicker, but more expensive. Would use Midas again if needed. This branch is the best I have ever visited. This branch is the best I have ever visited. Ted does such a great job explaining things and handling the work load. Always makes you feel like you are bing taken care of. - Jim & Kathy F.
I would like to thank Ted for always taking care of me like I'm a priority. Quality fast service. Can't beat it ! As usual service was performed professionally and in a timely fashion. Ted also suggested his tech look at me spare tire, since it could be causing dash light to indicate low pressure. Right on! 5 stars all 5 years! There are times when you car breaks down. In this case it was an alternator that had seen it's day. It was a Saturday evening, we had our car towed to the parking lot of this Midas on Saturday night. Left it there till Monday morning. I thought I'd leave a message Monday morning at 6:50 a.m. before the guys arrived. Lo and behold Steve was there! By 11:00 am the car was ready to go. Dave came and picked us up. A very special thanks to Ted as well who kept us informed of the progress. We've been having our car cared for by the guys at Midas for 5 years now. 5 stars all 5 years! - Andrew & Bob S.
Very efficient and explained everything they found before doing the repairs. The manager very friendly and makes you confident that they are doing the right repairs. - Pat & Shirley F.
The service was red carpet all the way. The service was red carpet all the way. I found everyone very trustworthy. They even drove me to visit my mom in the hospital since the service was going to take awhile. It's always great to deal with Midas. It's always great to deal with Midas. Honest, Trustworthy and always bending backwards, to get the job done! Thank you Midas!! I am so very impressed with this Midas shop..... The staff are knowledgeable, courteous, humorous, and extremely accommodating. No customer need is left unattended to. I travel to Sarasota for the winter, and quite frankly, get every maintenance thing needed at this particular shop. Yes, I wait until I'm here if possible!!! Good experience as always. Everyone eas very knowledgeable. The best in Sarasota without question. As always, prompt, courteous and professional service. The best in Sarasota without question. Great Service, from a friendly Team, at a fair price. Service was immediate and thorough, but it seemed pricey. excellent service and a welcoming atmosphere. Midas on Clark Road in Sarasota, FL is run very smoothly, with friendly, helpful employees, excellent service and a welcoming atmosphere. Prompt service, well mannered employees. It went well timely andthey made sure i new what was going on. - Ken & Michelle K.
Thanks for a job well done . Both Ted and Dave very courteous and professional. Ted even invited me into the service area to see the problem for myself. I liked that. Since I was never invited to go into a work area before. Thanks for a job well done . A little pricey but all around a good experience. Ted and the guys at Clark Road Midas are great. They make sure our cars are in safe condition and they explain everything to us. They make us feel welcome and work within our schedules. They remember us from visit to visit, which makes us feel that they are taking card of us, not just pushing through a work order. Also, the waiting room and restroom are clean and neat. - Connie & Jeff G.
I'm bringing my other car next. Great customer service. Dave is very effective and dedicated to satisfying every need for this service (oil change). I'm bringing my other car next. Definitely would recommend. Excellent service like all the workers I highly recommend them. Explained repair clearly and I felt I could trust these guys. Very good customer service. Taken Care of in professional manner. Excellent - As Usual. Work is done without up selling. Very friendly and knowledgable staff. Work is done without up selling. I recommend this place to everyone. Very happy with my front end alignment. Very happy with my front end alignment. Called and set up an appointment with Ted the manager. Dropped off the car when he told me to and it was completed in 1 hour. Ted provided me with a picture of what the vehicle alignment looked like before work was done and then one after work was completed. Could not believe the difference. Thank you for a job well done! The staff treated me very well and were very accommodating when there was a change in my schedule. Service was quick and complete. Always describe the service required and resolutions so i understand it. Always very satisfied with service! Very professional, fair, courteous and clean. Could not get over how great they were, Just like on TV I wanted to do one thing. Drew said "why not do it this other way?" Saved me a lot of $'s and time AND. I GOT WHAT I WANTED. THANKS, MIDAS. The staff at this Clark Rd. MIDAS in Sarasota is outstanding. The owner/operator, Steven, knows his business and his customers. It is obvious customers return here, as Steven knows their name. I have been here only twice, and each time, have left completely satisfied with the job done. (oil change and new tires) Steven also takes the time to research the beat deal on the job being done. I highly recommend this location and plan to return with future car needs. Excellent service, quick and no drama, explained what they found from the inspection, no upselling, second time there and will continue to service my truck there. I do many of my own repairs and its always great to find a good shop with trustworthy folks who tell things as they are. This visit for an oil change turned into an all afternoon affair of needed steering work and I was able to observe the management interact with other clients. Ted is amazing in both knowledge and demeanor. Kevin is equally talented. I rarely write reviews on anything as I find few products or services that I feel are worth contributing the extra effort to. Midas on Clark Rd is one of them. If you want honest, reliable, no bs, no techno mumbo jumbo car repair guys who are like that cool neigbor you wish you had who is a walking auto repair encyclopedia- these are your guys. PS. If my mom and sister were here this is the place I would send them. PSS. The shop I use in Ohio when I need one is a third generation place thats been servicing my family since the 70s. Thats a tough act to follow but Midas on Clark Rd. Has managed nicely. Thanks car dudes. - Susan & Ed T.
my car is considered important to them. I feel that any concern I have about my car is considered important to them. Very nice staff, very helpful in explaining car.care. Better than most all dealerships I've dealt with. I had four new wheels installed plus balancing and TPMS. Great job and professionally done. Better than most all dealerships I've dealt with. Very professional, very clean, did not push to have me do things to my car that were unnecessary. I had an appointment at 7:30. They were there before I got there and ready to go right on time. I will go back. Beyond helpful, nice, and knowledgeable. Beyond helpful, nice, and knowledgeable. Nothing more needs to be said. Clearly explained the issue and the fix. Professional and Polite. Clearly explained the issue and the fix. Work Carried out efficiently & according to estimate previously provided. Friendly competent staff. Waiting area could possibly do with an upgrade. Intend to use Midas again in future & have recommended them to others. Every time I go there the staff is wonderful. Excellent service! They would give you an estimate and stick to it. Options for repairs are given. Never will rush you to the more expensive option, but will let you decide. In what would depend on them, they'll make every effort to finish the work on the shortest time possible. Very happy with my experience. Manager was very helpful and knowledgeable. Always the best. Friendly, courteous, on time. Always the best. Friendly, courteous, on time. On estimate. I was greeted by more than one person as I approached the office. Everyone was very friendly, helpful and knowledgable. I was especially impressed with the thorough inspection with the oil change and the time spent explaining all work. Typical outstanding service from both Ted, the service manager, and Stephen, the franchise owner. I went into the dealership without an appointment because my wife's VW Eos front passenger-side tire had a slow leak. The staff found 3 nails in the tire! Ted pointed out they will try their best to save the tire; but if the damage is too severe, he would have to replace it. The tire was repaired without any high-pressure sales tactics to replace the tire or recommend a complete new set. I've come to expect great service without unnecessary work added on just to profit their business. I highly recommend this Midas location for their honesty and integrity. I thought I already did this; but, just in case. Excellent service, timely; and, polite. Couldn't ask for anything more. Easy to get an appointment, work done quickly, all work and tests fully explained. Very friendly, courteous and honest service. I was travelling and had a problem with my tire and they were so kind to me that I wish they were closer to my house because I would go back in a heartbeat. My service experience was above average, I will return! Excellent, prompt service. Very pleased with taking the time to explain what my car needed and other services. Customer Service at the office on Clark, Sarasota is great!!! also very good service, they are prompt and courteous. They do what they promise they'll do. Best Customer Service in Sarasota! Price options given. They do what they promise they'll do. Friendly, efficient & competent service. Very good experience. I went to Midas to make an appointment and they fit me in right away that day. They were very professional and did an excellent job on my brakes. Come here for the best customer service, and the most knowledgable friendly staff! Very capable and very friendly. Again this year, for my oil change, they did a fine job. Very capable and very friendly. The full car inspection is included....excellent value and they review all the info with you. Also enjoyed the Keurig Coffee provided free of charge. Honest, Trustworthy, and only do work that is needed. Never pushy, and very service oriented. I highly recommend them to anyone looking for a good mechanic to work on their vehicle. Steve, Ted and Kevin all do a great job of explaining work that needs to be done and putting you at ease. Excellent service honest and amazing customer service. This is the only place I will be bringing my vehicle. - Adam & Molly C.
Very friendly and informative, good communication, fair price for service required. Work done well, courteously, efficiently and at a fair price. Employees very pleasant and helpful, explained quotes in detail. We're ALWAYS treated warmly and professionally by the guys at this Midas location. We always feel they truly have our best interests at heart and go out of their way to make sure any work we're having done is done thoroughly and at an affordable price. When there is an unexpected issue, they always give an estimated cost for the job and include our input. They never do any work that they've not been given permission to do by us! We're thoroughly pleased with the entire staff and always consider it a pleasure when doing business with them! - Nancy & Richard U. Kept me informed while I was there, made me aware of items needing attention without a "sales pitch"
Always kind and helpful. Ted explains things thoroughly. Very friendly and knowledgeable staff in a comfortable setting. the service was good but it took a little longer than it should have. Ted was able to accommodate getting my car in front of a mechanic late on Friday afternoon with no appointment pre-set was very fair about the costs associated with installing a new headlight. They receive all my business and come highly recommended. - Michael & Terri K.
Everyone there was friendly, yet professional. They spent time answering my questions on a variety of topics relating to my car. I have already recommended them to my friends and would not hesitate to do so again.. Very courteous, friendly and prompt service. I made an appointment. I was received right on time. My vehicle was brought into service at the appointment time. The manager gave me a realistic time of completion. The manager kept me informed as to the progress on my vehicle and reviewed the technicians comments regarding the inspection points. The waiting area was clean, coffee and bottled water was available. My overall experience was excellent. The customer service was great. - Sherrell & Connie M.
Great experience. They take care of my wife's altima and my classic 840Ci BMW. I trust them completely. They tell you the truth if you need something and also if you don't. Besides oil changes and tire rotations, I have purchased tires, balancing and alignment and most recently after I jump started my wife's car, a new battery. A broken brake line has also been repaired. The best part is that they are reasonably priced. Thank you Ted! Very courteous,professional employees,did a very good job on my vehicle,kinda pricey,missed a couple of things I asked to be checked but overall mostly satisfied. As always I had a great experience. Fair price, nice people and fast service. Graet job, explained everything and just made me feel comfortable. This business is run in a first class manner. From the greeting I received as I arrived in the parking lot, to the opening of the door to the reception area,there was nothing buit a feeling of importance. Everyone was more than cvaring in their approach to customer relations and satisfaction. This business is run in a first class manner. Excellent service! Beyond what's expected! Works fine no leaks well done. I've been a customer for years. I've been a customer for years. Very satisfied customer. Ted and Steve are very friendly, understanding your needs and can accomodate wild requests such as pick you and your car up and drove you back home, or lend you one of their vehicles to let you pick up your kid from school when your vehicle is being fixed. You've bought a parts on Ebay? No problem, bring them in - they will install! I am always more than satisfied with Midas service centers The personnel at the Clark Rd. facility were courteous and very helpful. I make it a point to stop there during my winter stays in Sarasota, Fl. Staff and managers are extremely friendly. The only place I trust to do my car work. I would highly recommend taking your car here. I have sent other people here and they will also be back. Also, lobby is very clean and they offer water, coffee, candy, and cookies. Great Place! We were truly impressed with the knowledgable, very polite and helpful service provided to us. - Edward & Ingrid T.
Very professional! Go all out to try and meet requests made by the customer. Excellent Customer follow up to problems. Everyone in organization ready to do a first class repair !!! very good complete check up! Service ar the door, personal talks, coffee, and quick out. You got it all! Great service..worth a longer drive to get there. Best shops in sarasota quick work affordable price I'm very appy tanks midas. Clean, orderly and great professional service! Used Midas in Pompano beach, this was my first experience here in Sarasota. Ted the Manager was fabulous and the (3) men who performed the 17 point check up and oil change was just as great. Am planning to go back to get some belts. Prices more reasonable than over in Pompano Beach! This place seems to do it right! Excellent customer service. Also like " honesty" when looking ar vehicle maintenance. This place seems to do it right! Great experience. Very professional service. In addition, very honest.I found the new place to get my oil change for all my cars.I had a unique oil filter needed, and they were able to order it and get it delivered with in a reasonable amount of time,. They explain issues and even show me. Always a pleasure to go there, helpful staff and I never feel pressured into having all sorts of unnecessary things done to my car. They explain issues and even show me. Will definitely return and recommend to my friends. I always feel Ted gives me solid, honest advice. Everyone went out of their way to deliver excellent service. Very friendly service from manager as well as being greeted outside by mechanic. All Techs were respectful and knowledgeable. All Techs were respectful and knowledgeable. It was a good experience and that's why I keep coming back. Unfortunately, I have been there many times (old car). If you must take your car in for analysis and fix, you are in excellent hands. The managers and staff are knowledgeable, hard working, and sensitive to your needs. Who could ask for more? Steven and Ted are the best mechanics, and this is the top Midas or any garage shop anywhere. - AnnMarie & Mike P.
There was no aggressive upselling, just the facts. From the moment I walked into the waiting room I was made to feel important. The waiting room is clean and quiet. When the service of my vehicle was almost complete the condition of my vehicle was discussed with me by the service manager. There was no aggressive upselling, just the facts. Nothing could have been done to make my visit to this Midas any more pleasant. Midas provided a ride to work which was very convenient and made sure that I was able to use my warranty to receive a free replacement battery. Many thanks! My boyfriend and I went to get his oil change The techs were fast a professional. The service manager (Ted? ) was very friendly went over in detail on the service report. We went back the next day to buy a battery for my car and Ted wasn't there but your other service manager was. He was also very professional and friendly. We will continue us this midas for all our car services. Mechanic was knowledgeable and Manager was very courteous. Tire repair done in less than 30 minutes! My tire needed repair which was done in less than 30 minutes! No high pressure for sales. Was greeted well by 3 staff. No high pressure for sales. The facility was clean and neat in appearance. Manager brought me up to date as to the mechanical condition of my car. Wait time was good. As always, Ted was friendly, courteous and helpful and the Midas crew did quality work in a reasonable amount of time considering how busy the shop was. Honest, Thorough, Dependable. I've found my "neighborhood" repair and maintenance shop. As always, Ted at Midas Sarasota on Clark Road is listening to the customer and very open to suggestion. He never forces his will to what to replace or the way it has to be done, knowing that cost of the repair is very important. Always courteous and patient, always exceeding the expectations. On time, quicker than others to service your car. Many time extra services were performed like putting gas into the car or drive the vehicle owner to his home when the car is being service. I appreciate being informed of what needs to be done and not being spoken to in a condescending manner as some shops do. Excellent service, very professional and clean waiting room area. Excellent experience!!! Had a 7:30 am appointment and what a nice way to start my day--friendly and efficient help at Midas. As a former business owner, I was so impressed with the service. Steve should be a customer service trainer for your company!!!!! The guys there were kind respectful and for once I went to a place where they didn't try to sell me unnecessary things. This is a very well run business - very professional and extremely helpful. No frills - just the way it should be. I had a good experience. The manager was awesome. I was told several things about how to maintain my vehicle that I was not aware of. I was also given a estimate for suspension repair which was hundreds cheaper than the other garage I started at. I got an oil change while waiting for some parts to come in and I wasn't being upsold on other services like at most other places. If fact, I was told a couple services were actually unnecessary for my truck, and I didn't need them. I went in for an oil change & ended up paying $98 & had a coupon for free windshield wipers & was charged instead. I've always had good experiences here. Nice staff, relaxing atmosphere. I felt everything was thoroughly explained to me and I was even shown things on the car itself to illustrate what they were talking about. I've always had good experienced here. Keep up the good work! I was very impressed with the customer service. I was very impressed with the customer service. Very nice waiting area, with free WiFi, Tv and Keurig coffee maker. Repairs done in timely fashion. Ted is extremely knowledgeable and very customer focused, the service is always excellent and the price fair. - Tom & Rita C.
They are always friendly. Tell you every thing up front and explain things to you. I only needed an oil change this time. It was quick. Easy to book appointment. Clear description of service. Always a great outcome. All employees were very friendly and informative. All employees were very friendly and informative. I never felt that they were trying to sell me something that wasn't needed. Amazing customer service and very professional!! Midas is the way to go if you need something as simple as an oil change or even thoughs moments when you don't know what's wrong with your vehicle and you have NO one to TRUST...The crew there is honest and helpful, if there is a problem, they show you your broken parts and if you do have many issues they put the issues in level of importance!! I've used them for many years, never been let down and spoken to other people who use them and they have the same response to how great they are. As always, Ted, the store manager, greeted me at the door with a smile and a handshake -- always making me feel welcomed. I did some research on a replacement battery and Consumer Reports and others rated the Interstate battery for my car as the best value -- combining price and quality. Midas popped up as my closest Interstate dealer. I called and first spoke to Bobby and he confirmed the exact needed battery was in stock. Drove right over. No waiting. Total time in shop for the new battery 15 minutes. Outstanding service and fair price. They also rotated my tires free!! Fast and efficient service. They also rotated my tires free!! Their price was also very competitive. Will come back. As always a professional experience with prompt and courteous service. As caring as the experts may be, their downtime in waiting for an oil change is absurd. And most assuredly always will they present all the items that require some fixing for additional costs to you. This brake slider cost at $24.99 for front and again for back brakes to grease and lubricate is a farce and con. In Florida there is no need to oil the brake system. A definite customer con job. There was no pressure, confusion, or hassle. The staff was friendly, professional, and sensitive to my worries and needs. Setting up the appointment was quick and I even got my car worked on earlier than expected. The service was fast, thorough, and right within my price range. There was no pressure, confusion, or hassle. I will be going back to them for all of my auto care needs and recommend them to anyone I know in need of auto repair. pleasant experience, everyone helpful. just fyi..charged $3.20 shop supplies & only half of windows were cleaned... ?? Thanks Shawn for a great experience! I was very impressed with the service I received from Shawn. I had been going to Jiffy Lube for years and did not realize just how much I was overpaying. Midas beat their price by $20 they checked my fluids and filters, rotated my tires and vacuumed my car. The also didn't try to sell me something that I did not need. Thanks Shawn for a great experience! The people I dealt with (at the Midas shop in Sarasota Florida) Steven and Ted were very straight forward, told me what I needed now and what could wait on in terms of my repairs. They showed me exactly what they found and how it would be fixed. The mechanics covered the seat of my car and took care not to get the steering wheel dirty. I could go on. This was such a good experience for me unlike what I am used to when I go to the Toyota dealership. I recommend this business highly. Great service. Good explanation of tire requirements. Neat and clean workshop. Always an above average experience at Midas. Always an above average experience at Midas. I must confess, maybe because I'm have a background as a film maker and educator, I rarely give 5 stars. I often think there is some thing, one detail that a person can do to further refine his work and have something to strive for. But if there were a 4 and 1/2 star rating, these guys would get it from me. The only place I will have my vehicle serviced. I had a great experience at Midas. I had a great experience at Midas. Staff was very prompt, courteous and professional! Exelent atention!! Good place, professional peaple!! Steve is always directly honest about my car's needs with pressuring anything on me. Work is completed quickly and there are plenty of refreshments and even cookies!! Very friendly. Very helpful. I moved further away but chose to come here still because of the amazing customer service. When I pulled up I was greeted and the door was opened for me. When I went inside everyone was friendly and made me feel comfortable and able to trust them with my car. I loved how they broke down everything and really explained to me what they were doing and what exactly was wrong with my car. Ted & Stephen got my car in, fixed and back on the road in record time! They are the best! Excellent job. It was easy to make an appointment, they were on time and finished the work on time.Congratulations?, Good crew. - Carlos & Jane F.
Fantastic customer service, 100% Satisfied customer!! These guys are very nice and do a great job. Very high quality, friendly people and owner. Provided a free shuttle service! Midas Sarasota is great! Provided a free shuttle service! They fixed my car and made it perfect! They told me when I needed to fix other things and what was important now to fix. They are extremely helpful I loved going to Midas Sarasota! Ted and the staff at this Midas are AWESOME! Ted and the staff at this Midas are AWESOME! As a brand new customer, they made me feel that my business was important to them. I recommend them to my friends and will definitely be back. Great work, customer service and honest. Have been to this Midas four or five times and have been happy every time. I recommend them to my friends and will definitely be back. Amazingly helpful, honest, and my car is no longer a death trap! Thanks so much again. As expected Ted and his staff took care of business! As expected Ted and his staff took care of business! Routine oil change, tire rotation and multi point inspection in less than an hour! Great job. The service provided was excellent. Items I asked to be checked were checked and only the ones that needed repair were fixed. The others were reviewed and discussed to monitor and fix a latter time. That helped keep the cost down and also plan ahead for future repairs. The work was done on time and they called to say it was ready. shuttle service was greatly appreciated! Courteous, patient staff that provides explanation of work for completion. Ability to get issue resolved in a timely manner With shuttle service was greatly appreciated! I'll be back, but hopefully not too soon! Quick...Thorough...a​nd very pleasant to deal with !!! The person I dealt with made my coffee while I waited , Explained everything and walked me to the door when the car was finished. A very pleasant experience ! REPAIR COST CAME IN AT ALMOST HALF OF PROJECTED ESTIMATE. FANTASTIC SERVICE! REPAIR COST CAME IN AT ALMOST HALF OF PROJECTED ESTIMATE. VERY IMPRESSED. superior service at a more than fair price! I was extremely impressed with the level of service at this facility. First, I am not from the area and only chose it because it was close to where I was staying. I was pleasantly surprised at the clean, neat and friendly environment that I walked into. Second, unfortunately, I have in a tight situation and needed an oil change for my car but could not afford more than the basic oil change. The manager or owner was kind and understood and did not try to oversell any other services to me. I was completely shocked to find out that even the basic oil change ( which he let me take advantage of an online coupon to save a few dollars) came with a complete inspection of all aspects of the vehicle. It was so thorough that I almost felt guilty that I couldn't do more. He came out afterwards, sat down with me and went over all the findings and then provided a copy of this paperwork for me to take. Since, I am possibly selling the vehicle this was a handy piece of information. Upon leaving I felt that I had been given superior service at a more than fair price! I was there for about an hour! So, when I left within the next hour, I gave out 3 of their business cards!!! All those I gave it to plan on bringing their cars in very soon. If I lived in the area or could have afforded it then, I would utilize their services all the time. In and out within 45 mins with my broken pipe. Service was great, thanks. The only shop I trust. A very thoughtful and experienced team from front counter to repair bay. The only shop I trust. Very satisfied with Sarasota Midas on Clark Rd. As usual, service was cheerful and informative. Best car service; great crew.  They make sure when your car is ready to go - it has been repaired by experts. Friendly and knowledgeable !!!!! What a breath of fresh air ! What a breath of fresh air ! As a first time Midas customer, this visit was unbelievably great. I arrived on a Saturday afternoon without an appointment. I was greeted by a friendly staff member in the parking lot and escorted into the waiting area. He then reviewed my problem and put a staff member on it. I waited a short time,and then was provided with a detailed point by point review of the problems with my car. I was then given a choice of repairing each problem or driving away. I was also given a itemized cost estimate and a ready time. I chose to have the repairs done immediately and was given a shuttle back to my home. After the repairs were finished, on time as promised, I was picked up again and returned to my car. The cost for repairs was fair, and explained again ahead of payment. Midas Sarasota will be my choice for auto repairs from now on. I've found my "neighborhood" repair and maintenance shop. Honest. Thorough. Dependable. I've found my "neighborhood" repair and maintenance shop. Fast service, friendly, courteous and even cleaned my windows. I will return. I was escorted to the lobby under an umbrella. Love the concierge service.I am always greeted at my car by a member of the staff. Today it was raining so I was escorted to the lobby under an umbrella. My car has 180,000 miles on it and Steve always treats it like it was new. These guys keep me on the road. Thank You. While on vacation in siesta key, my muffler broke. I was so disappointed that I would have to use a vacation day to get it fixed. The guys at Midas sarasota didn't let that happen. They fixed my muffler at a great price and replaced some bulbs that I needed for my drive back home. On top of doing a great job on my car, they offered us a shuttle to the beach so we didn't need to use up a day of vacation getting the car fixed. I'm so glad we went to Midas sarasota! Those guys were great! As always, they were prompt, efficient, professional and helpful. As always, friendly, professional service at a great price! They were very professional . Ii watched 3 customers before me advised they had no major problems with their cars ! I felt pretty good about that ! No needless repairs ! I would recommend them to all my friends ! Good service, well explained and on time. The staff is always friendly and very prompt. My car comes back to me without grease stains on the interior and they don't push un-needed repairs. Great job! Excellent service, Ted the manager is outstanding! The best word to describe this location is trustworthy. As always, Ted and Steven provided excellent advice and service based on their years of service. As the two who mainly meet and advise customers, they co-manage the Clark Road Midas. Steven is the owner/operation manager of this franchise location and he comes with over 20 years of mechanical experience -- past specializing in transmissions and all under-car maintenance. Their crew of certified mechanics are not only thorough, but they add to the professionalism of the shop when they analyze each car and then share their findings to the customers via Ted or Steven. Well managed and clean shop. The best word to describe this location is trustworthy. They recommend needed mechanical repairs based on car safety and also recommend preventive maintenance. Sign up for their maintenance reminders via your email -- and you'll get ongoing coupons as a bonus! I would return again for great service. Very courteous staff. Great humor along a bad muffler situation. Fixed something minor on the car that had nothing to do with why I was there. I would return again for great service. Always kind and helpful, never push services that my car doesn't really need where other places would try to ring me up as big a bill as possible. I drive past 2 dozen auto-places to come here and suggest you do the same. Greeted right out of the car. Everyone very nice and helpful. Waiting room spotless. Service fast, honest and informative. I drive past 2 dozen auto-places to come here and suggest you do the same. They will provide transportation to your home. Very professional, friendly, and the office managers take the time to explain the work that needs to be done on the car. They will provide transportation to your home. A very nice accommodation. Courteous & attentive service. Issues that arose were clearly explained. Very good experience, very professional in every way! Great service that was quick, thorough and reasonably priced. As I drove up I was met by the manager and they immediately got my car into a bay for service. I was there for an oil change, which included a check of fluids and other things. The manager went over their findings, made recommendations and if it was something that could be put off until my next oil change, he told me so. There was absolutely no high pressure sales like all too many places. Great service that was quick, thorough and reasonably priced. Great experience! After being told I needed parts for a used Volvo I bought from a local dealer about a month ago (estimate quoted was almost $600) I brought my car to Midas. The cost to repair and perform some preventative maintenance was only $212! Yay! Extremely courteous and accommodating staff. Extremely courteous and accommodating staff. I never felt pressured to have everything repaired that needed attention and was informed by staff about what maintenance procedures were of immediate attention and what jobs could wait until the next visit. All work done was completed in a timely manner and the job was very well done. I would definitely recommend this business to any friend looking for trust-worthy staff and expert repairs and maintenance. Most professional mechanics and run by superior managment. Most professional mechanics and run by superior managment. I came in for a tail light bulb and we found out the lens assembly was corroded. They removed it and repaired it on the spot. Provided a website to buy a used lens assembly for 25% of list price. Work done fast and with my complete understanding of what was going on. The experience/service was top notch. I am a regular customer of this Midas location and, as always, the experience/service was top notch. These guy are great! give me a ride to my dentist and a pick up, killed to birds with one stone. great place to have you car serviced!! clean and freindly shop! Provided a ride to and back from my residence. Courteous. Worked with me on cost. Got it done sooner than estimated. Provided a ride to and back from my residence. owner steve and mgr. ted are very professional in the way they explain services that may be needed. also they exhibit courteous and patient mannerisms. midas should be proud to have them associated with their business. Very honest they don't try to sell you something that you don't need. They do top quality work. Great experience. I needed something done late in the day, and I was accommodated graciously. The owner is knowledgeable about car repairs/maintenance and runs a tight ship. I observed a good working relationship with his staff, and that transferred to a job well done for me. Shop and lobby are both very clean, and my car was free of any grease when they were finished. The only thing I could point out that is on the negative side is that some of the service prices change when a flush is involved. An advertised $90 coolant change turned to $120 on paper. When I asked why, I was told that the flush isn't priced out on the menu, just a drain and fill. Overall, I'm happy I found this place and would definitely recommend. The work and the inspection were done thoroughly and promptly. The work and the inspection were done thoroughly and promptly. This gives me confidence that my car is safe and good to go. I will certainly recommend them to all. one learns everyday and I learned a lot taking my car to Midas. I will certainly recommend them to all. Honest, Reasonable, Straight Forward Evaluations given at each Visit. Never a Worry when your Automobile is Serviced at this Midas. Honest, Reasonable, Straight Forward Evaluations given at each Visit. What else can I Say ? Great place, Ted was wonderful had a new battery and on my way in 15 min. I will be back. Honest assessments of what needed to be done and when. I have always received timely service. Treated cordially even when my car presented unanticipated problems. Honest assessments of what needed to be done and when. Ted mead me feel valued as a customer and not just 'another guy off the street. He was personable and surprisingly thorough and knowledgeable. I will be bringing my business truck next. They dropped me off at work and picked me up when car was finished. They were knowledgeable and repaired my car fast. They dropped me off at work and picked me up when car was finished. Quality work and provide excellent customer service. These guys do quality work and provide excellent customer service. very speedy service...profession?al work and advice....good value prices...free coffee (Keurig pods) and tons of magazines to read while waiting or conversation with the owner or asst. mgr. Reception area is neat and tidy. They are honest, friendly and treat us fairly. We have been taking our cars to Midas on Clark Rd for several years now. They are honest, friendly and treat us fairly. We highly recommend their services! - Terri & Mark L.
Great service from people who care. Complete detailed information relative to car's condition. Prompt service. Complete detailed information relative to car's condition. No haggling or scare tactics used.no additional secret charges. Excellent-good work and great personable service. Once again Midas provides quality service with a friendly knowledgeable staff. Thank you for a clean, neat restroom! Fast, corteous service! Thank you for a clean, neat restroom! Steve and Ted are always professional. Steve and Ted are always professional. Very knowledgable, work is done correctly and in a timely fashion. I feel very comfortable bringing my car here! The guys at Midas on clark road are professional and courteous. The shop is clean, and they are up to date on the service needs of my vehicle. I feel very comfortable bringing my car here! Good honest service. Just the way I like it. We were in Sarasota on vacation. The muffler weld broke on our car's muffler. We stopped in early on Monday. They got us right in, made an estimate and fixed our problem within an hour. The staff was courteous and professional. We would definitely go back again. Great team from the front desk to the shop bay. Appreciated the open, honest, and friendly service. Greatly appreciated your flexibility in doing just what I needed done without trying to sell me stuff that is "needed" but I just can't do at this time. Experienced the same great service that we always receive at your shop. This was my first experience with Midas and found the service to be excellent in every way. I bring all my vehicles he for service. Impressed all around with my visit. Cost was exactly as quoted to me. Found two nails in tires and was able to fix one. Had to order a new tire and it came from Tennessee! Quit making tires that were on car! Called me immediately when tire came in and set up appointment for same day. Cost was exactly as quoted to me. As always, my experience was excellent. Straight talk, service, and integrity are the hallmarks of this Midas location. I would recommend it to anyone, without hesitation. Our problem was resolved promptly and correctly the first time. Our problem was resolved promptly and correctly the first time. In addition, the service was wonderful. The attention to our vehicles and the customer service we receive is, and has been, always professional, thorough and taken care of in a timely manner. Both Steven and Ted have an extremely reassuring way of explaining what service our car or trucks are in need of and a timeline as to when those services need or should be done.  We always know, up front, the cost to repair or service them and the approximate time it will take to do so. The waiting area is always clean, including the restroom. Television, coffee and water are provided and, at any time, the work being done on our vehicles can be observed through a window to the service area. We can say, with confidence, that Midas, on Clark Road, in Sarasota, FL, is certainly a well run business, taking care of a myriad of services and the peace of mind of knowing our car or trucks are in top safety condition is worth its weight in gold! Well done Midas! THE PROFESSIONAL AND COURTEOUS STAFF KEPT ME WELL INFORMED AND ADVISED ME OF ANY ISSUES I HAD WITH MY VEHICLE. They seem to genuinely care about their customers which is a rare commodity these days. After 2 years of having bad experiences with mechanics in Florida we can now count on Midas to be our go to place for our car. As usual, outstanding service and great feedback. Professional, courteous, competent. Happy New Year Steven and Ted! - Kathy & Jerry U.
I am only using anonymous for personal privacy. My holiday service experience at Midas is well worth recommending as totally satisfactory in all categories, repair, customer service, detailed diagnosis, and follow up plan. The Toyota dealer in Sarasota is pretty good, and I have used them since my first purchase in the 80's, but the sales style at the dealership is of course uncompromisingly aggressive, which turns me off. I believe in value for my hard earned dollar. So Midas will win the majority of my non warranty future service. I also like the web-site, which is easy to negotiate for appointments and this evaluation, etc. Kudos to a well managed business, which is minimum criteria for me to repeat shop. I was very impressed with the automobile knowledge of the manager. Steven Feig's patient explanation of any problem areas was very clear ,concise, and understandable. He must certainly be a great asset to the Midas team! Impressive! Service is beyond all expectation. Upon the approach of the front door, it is opened for you with a warm greeting. All functions of the shop are described and without any high pressure sale. They offer a complimentary shuttle transporting you to your desired location and picking you up when your vehicle is ready. The owner of this shop does not miss a beat along with pricing that is better than all! Service was great completed work as per original quote. Very friendly staff made you feel at home. - Paula & Mark E.
Professional service, personable staff, great pricing! Exceeded all expectations. So good, I brought my second vehicle for servicing the next day. Steve was very helpful and accommodating. Steve was very helpful and accommodating . I will be back without a doubt. the mechanics were very polite. Ted and Stephen always go the extra mile to provide the best customer service, best deal and the best advice. They are without a doubt the most honest, reliable, service oriented, auto tech team that I've encountered in my life. As long as they will let me, I will always go back to their shop. THANKS AGAIN, Ted and Stephen, You guys are the GREATEST!! - Mark & Kelly W.
I was very satisfied with the professional service that I received. I was very satisfied with the professional service that I received. The service to my automobile was done correctly and efficiently. The shop was neat and clean. The service manager was excellent: very courteous and professional! I will certainly use this Midas facility in the future and highly recommend it to my friends. I have been going to Midas for over 6 years. I have been going to Midas for over 6 years. Every time I visit, the employees always treat me with respect and kindness. The manager, Ted, takes the time to explain the work that is being done on my car and does so with a gentle tone. The owner, Steven, makes sure that I am taken care of at all times and even goes out of his way to make sure that I am happy with every service. I work in the service industry and understand how important it is to create a bond with your customers so they will keeping coming back. Midas Sarasota keeps me coming back for all my car repair needs. I definitely trust and appreciate the "Midas Touch". Always have a great experience here--the guys are always wonderful, and they really know their stuff. They're also great at explaining *why* certain maintenance need to be done, rather than just saying "because you should do it," which I really appreciate. Very accommodating to walk-ins. Informative. Have never been condescending in addressing me or other clients. I made a request for an appointment on a specific date and time for an oil change. I received a confirmation the next day that confirmed my appointment day/time was available and set. The entire process was easy, quick, and just worked perfectly! I like the idea that I can arrive knowing that they will be expecting me, and will likely get right to work after I arrive. It is a good procedure and benefits both the Midas shop and the customer! Good job! As always, amazing customer service. This is the only place I will ever take my cars. Great service and great people. Can't beat it!! I made a request for an appointment on a specific date and time for an oil change. I received a confirmation the next day that confirmed my appointment day/time was available and set. The entire process was easy, quick, and just worked perfectly! I like the idea that I can arrive knowing that they will be expecting me, and will likely get right to work after I arrive. It is a good proceedure and benefits both the Midas shop and the customer! Good job! The team at Midas was courteous, professional and very knowledgable. It was very refreshing to be treated with respect and honesty. These folks earned my future business!! First time at this location...from the moment I spoke to Ted on the phone to the moment I left the shop, I was totally impressed. Pleasant, courteous and professional. Especially liked the way they checked over my car in detail...and I was only there for an oil change! Would definitely recommend and certainly go back again! They are honest and fair. They always take care of you. When I drove in at 7:15am, I had my son with me. My car barely made it to Midas at all that morning and my son's only concern was being on time for school and a project he was presenting at 7:30. Steven F. told me his manager would be in in 10 minutes and I should take his personal vehicle so I could get my son to school on time. Then I'd come back and they'd give me a ride to work. I was so grateful and have told so many people about his generosity. The manager there (or person on staff) is very knowledgeable, friendly, and accommodating. Well run shop - very clean and genuinely nice people. Steven (owner) makes the painful experience of car repairs / maintenance trustworthy and dependable. The customer service is first rate, and there is not a doubt that I have found the place to go for all of my vehicle needs. They made sure my vehicle was correct, and were more than accommodating. Nicest shop and very "respectable" employees, as a women I felt very comfortable in the shop. Appreciated that there wasn't the normal "upsell" pressure that most oil change places subject people to. There were recomendations that were "honest"
I always enjoying having my car serviced at Midas. Steve and his staff are courteous, knowledgeable and very service minded. Great place to go! Ted the manager and the rest of the staff are TRUE CUSTOMER SERVICE STARS. they certainly are a great team that treat the customer with respect and most amazing customer skills ive ever experienced. Great experience with the team at Midas. Very eager to listen to the customer before proceeding, and ensure the customer expectations would be met, which they did. Most importantly, if an issue arose during work, this attitude will always be of better service to the customer to mnake it a friction-free experience. High integrity, great prices, talented and caring staff! we are from out of country and needed a quick oil change. What we got was a check of the entire car included in that price, a written result of the findings,suggestions on fixing any deficiencies, a good cup of coffee, excellent work from the mechanics and finally, terrific customer relations by Steve...not to mention very competitive pricing. I will use this facility whenever I am in Sarasota and need service. I think the service is genuine and caring, they don't try to sell you something you really don't need, and hey guys don't think it didn't go un-noticed that you vacuumed my mats in the front, thank-you Dean. We have had our car serviced at this location for more than a year and have come to know that they are personable, respectful, economic, and thrifty. Their work is good, cost is excellent, and they help in every way possible. Went there to get the brakes checked on my toyota. It was a minor fix. But I was impressed on how well I was treated and how well the other customers were treated. That makes a big impact. I'll be back. I have been bringing my car to Midas for several years. Each time I am greeted with a smile. There is no doubt about the cost. I am confident the mechanics are experienced and know how to fix my vehicle without a doubt. I keep returning to this shop for repairs because the Management Team are professional and courteous. The customer service was excellent. They had good pricing for both tires and service and worked with me to keep the cost down to get the most repairs done at the time. They let me know what could wait and what was required now. It helped to budget the repairs. The car was ready when promised. Steve and his team performed exceptional service on my Lexus. I have brought it in for service 2 times. Once for a completely new exhaust system and most recently for a new brake, calibers and bearing job on the back end of the car. Each time, Steve set my expectations for the cost of the repairs and expected delivery times. His team did a great job on fixing the car and was very reasonable when comparing the cost of the same repairs at the dealer. I would recommend this Midas to anyone. Steve has a good team. Midas Management at 4565 Clark Road Sarasota, FL 34233.